Currently waiting for my Streak to be delievered (ordered a red one off ebay). Can't wait to get my hands on it and have a play with that big screen. Hope to post some more on here once I have some experience with the phone/tablet. I was using my Dell Streak near a speaker when the screen became dim. After that all efforts to restore it to the original condition had been fruitless. Please what do I do? my bro got this in india for 33k($750) here ,its decent with android os,generally all android phone are same.i was about to get this same day but changed my mind last moment only coz of its bulky size.iff u can manage to make a call with a 5" tablet then go for it.it reminds me of those bulky mobiles of 90's. it have got same features like any decent android mobile so i still havemt got the utility for this set.despite i am a dell loyal user(use it in pc) i dnt have much affection for this set.i didnt like the dell round logo behind the cell to coz its of the same size we see in our pc's(though thats my personal opinion)it reminds me of a PSP.i am rather sticking on my current iphone. My suggestion was based on Dell Streak and Samsung Galaxy Tab. christian, 17 Oct 2010Dear all friends: I am planning to buy either Samsung Galaxy S or Dell Streak soon. Could y... moreHi! Youe choice will depend on your use. 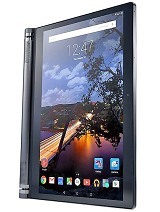 If you wish to make your next tablet as your primary mobile phone then odd cource dell streak but if you need more look like a IPAD with updated android OS (2.1 in comparison with Dell with 1.6) then go for Galaxy. Moreover Galaxy is huge that Dell and expensive too! christian, 17 Oct 2010Dear all friends: I am planning to buy either Samsung Galaxy S or Dell Streak soon. Could y... moreHi, i have the dell streak and my brother has a galaxy s, i like the interference of the galaxy 100 times better. The dell restricts me a lot. I cant send music via bloetooth foe example. Have trouble putting vidos on the dell. The only upside on the dell is the huge screen, but i would stick to the galaxy. I am planning to buy either Samsung Galaxy S or Dell Streak soon. Could you please give me some advises, which I should pick? What is the advantages and the disadvantages of Samsung Galaxy S and Dell Streak? Which is better for the user? If you don't mind the size of it then it's a great phone. It does eat battery too but there's ways around reserving your power output to make the battery last longer. Guys quickly, I need your opinion, should I buy this Dell streak or go back to samsung galaxy s? craigy33, 09 Oct 2010Hi I got the Dell Streak today. Found it easy to set up and and to navigate my way around.... moreJust a follow up after 4 days usage. The Dell Streak hasn't once turned itself off since Sunday, I think this may of happened on day 1 as I was setting it up and stuff. The built quality is great, feels very durable ans is as thin as the iPhone 4 almost. Screen sensitivity and supperb, resonds immediatly. Battery life does get sucked oud of it if you are constantly using it, like I do, however there are ways around about reserving your battery life. I charge mine over night and then it's on charge also when I'm at work of it needs it. Takes good pictures and videos well as well. As for applications, I am new to android so i haven't downloaded games as such as I am not a games player. I don;t use office and that so not sure how it goes on the Streak. I like it for email. The email set up is good, well I like it and it's easy. The good thing is, as soon as you put your cariers Simcard into it, the mobile sets the carrier settings automatically. Dell: If you are listening. I want to be able to sync my itunes up to my Dell so i can sync my music from itunes directly to my Streak. does anyone know if this can be done as I know with Blackberry that there PC software allows you to sync your itunes to there handsets. You will like it, just be ready for the size as it is a big 5" screen. It fits perfectly into my work suit pants and heans pocket. It is quiet thin but is quiet visable in your pocker. I have no weird looks yet, however i constantly have it my hand as I am always surfing the net on it. Battery life does run down a little faster then i expected. Say an hours train ride of constant usage surfing, no music playing, my battery life can go from 100% to 85% just after an hours usage constantly using it. However I put in on charge attached to my work PC when i get in, so I'm not fussed about battery life due to charging it home and office. The screen is great and the quality is good. The screen is very responsive like the iphone 4. I'm also anniphone 4 user and I like both, it is hard to go from playing on a 5" screen to a 3.5" screen after a while hehe. My only wish with the Dell streak would be if I could connect my itunes music directly to the Streak and sync. Blackberry allows this feature which is great. 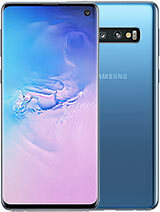 I have been checking the comments every other day as I am thinking of getting this device. I presently use HTC HD2 and I also have a HP Ipaq 214 PDA so I like devices with huge screen which is the major reason I am attracted to the streak. I intend to dump the Windows OS as I think the Android is more innovative. 1. Does the streak allow you to access emails like the blackberry ?? 2.Can you use documents as Microsoft word & excel ?? 3. Does it autorotate on ALL applications on the phone ?? My HTC HD2 only autorotate on certain apps contrary to what was said when the device launched. 4. How is the battery life ?? Anonymous, 12 Oct 2010from where did you bought in India ??? and wat is the MRP?? ?u can get it from ebay. I got it for 26,800 but now they were selling it for 30,000.
craigy33, 09 Oct 2010Hi I got the Dell Streak today. Found it easy to set up and and to navigate my way around.... moreordered mine should come in monday tuesday can't wait !!! The internal memory capacity is 2GB not 16 as stated. It's got no proximity sensor - it's using the accelerometer to turn the screen off.